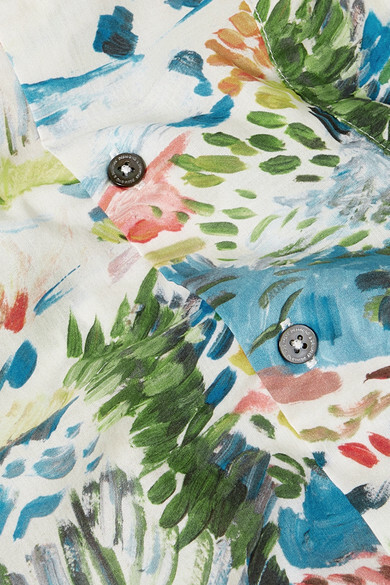 All of Desmond & Dempsey's prints are hand-painted in the label's London studio and take inspiration from the co-founder's (Molly and Joel) adventures. 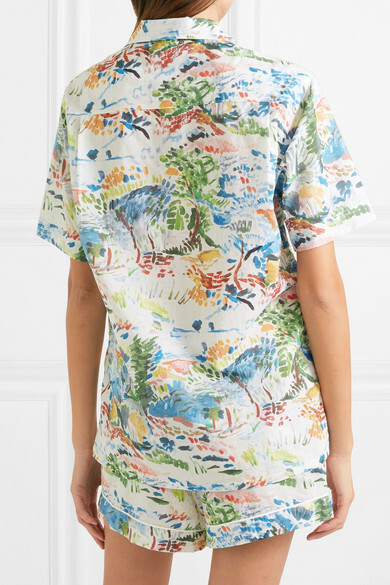 This pajama set is decorated with a finger-swiped landscape that references Cuba's vibrant cities. 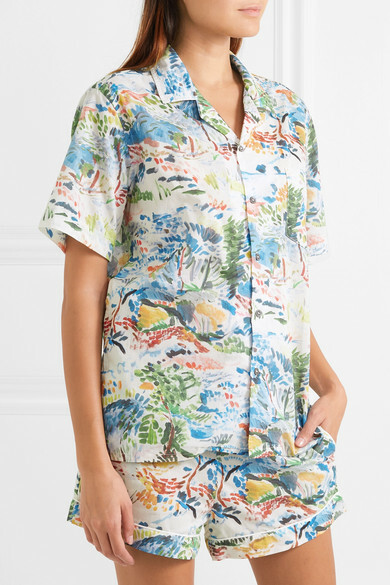 Made from airy cotton-voile, the short-sleeved shirt fastens with lustrous mother-of-pearl buttons and the shorts have a comfortable elasticated waistband.